Surat: In Gujarat, only the days of counting of Uttaran's festival have been left, in which Surat Police Commissioner has issued a notification, which is showing resentment in Suratilala. Surat Police Commissioner Satish Sharma has announced the date for the kite to be issued by issuing notification. 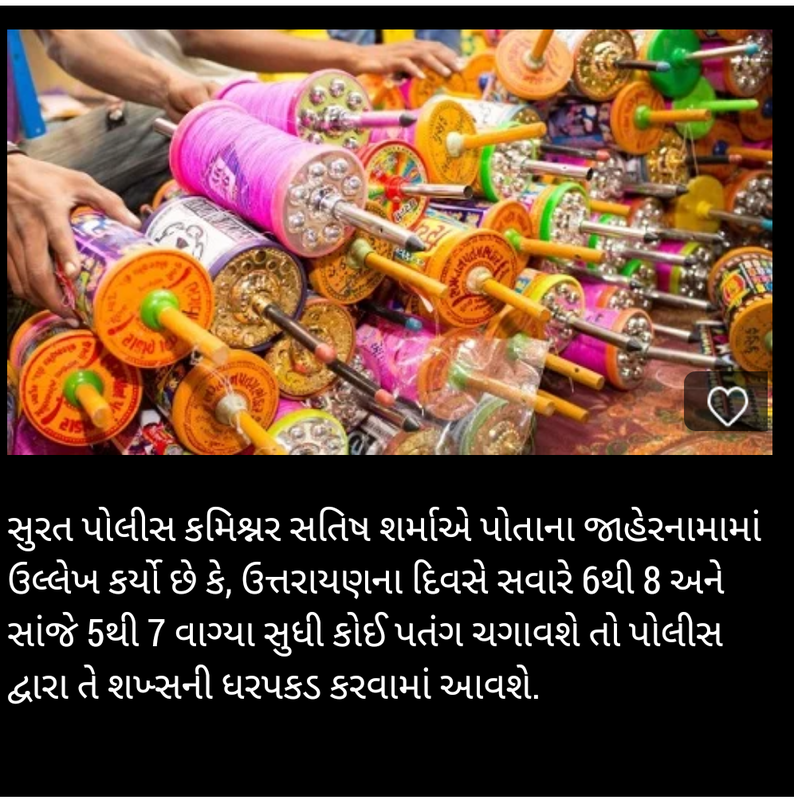 Surat Police Commissioner Satish Sharma has mentioned in his manifesto that on 6th and 8th in the morning on the day of Uttarayan and if any kite will be started from 5 pm to 7 pm, the person will be arrested by the police. However, in Uttarayan, the kites have been spreading from all over to the children, in this case, this fatwa of police will be a headache for the public. There is resentment among the people of Surat issuing the notification. In the time fixed by the police, if the children are kite, then what will happen if the police is the only one the police will know. In addition, the notification issued by the police has also been banned for use of China's fatal cord. If this fate is used in Uttarayan, the person who is caught will be prosecuted. The traders selling Chinese lead with this notification are also in suspense. Although kites and cords have begun to appear in the market for quite a long time, there is also a possibility that people have purchased deadly cords.